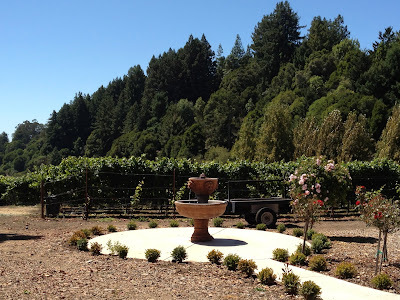 This past summer, we headed up the road from Hunter Hill to our second stop: Soquel Vineyards. The hostess at Hunter Hill said we couldn't miss it, and if we did the road dead ended so we couldn't go too far past them. She was right, it was very easy to find. 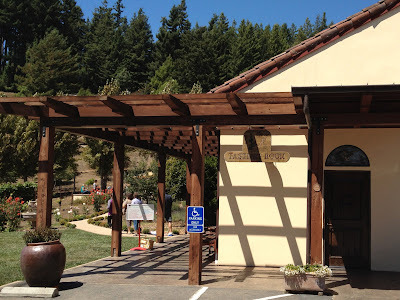 We were offered two tastings: A $5 general tasting, which took place inside in the tasting room, or a $10 reserve tasting, which took place outside. We chose the outside in the beautiful sun option. I can't imagine anyone not choosing this option, unless it was crappy out, but what do I know. 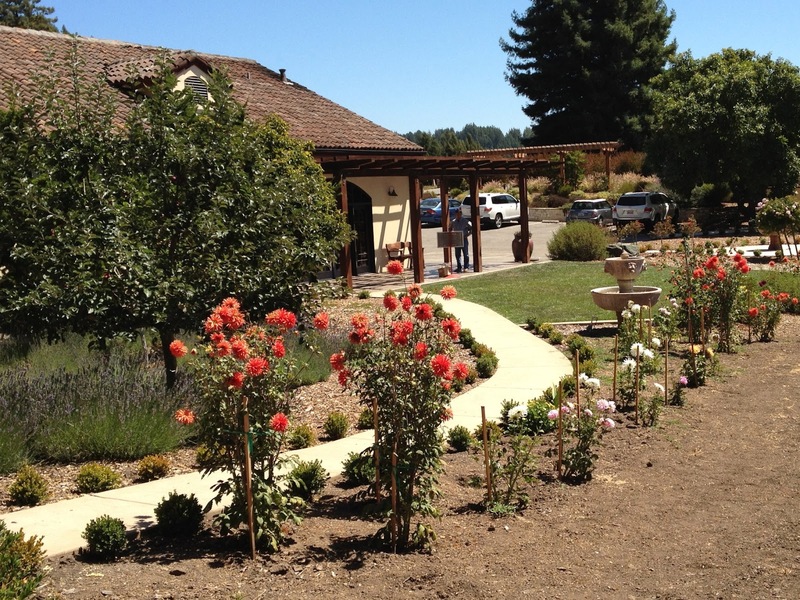 The outside area was cosy and beautifully surrounded by flowers and vines. All the wines were excellent, though a little pricey. One of the the owner's, the Bargetta family, daughters had gotten married the night before and a couple groups of wedding guests were there, talking about this and that. We ran into another couple that turned out to live very close to us. They lived very similarly to us too, winewise. While they liked the Pinots at Soquel, they believed where they really shined was in Sangiovese. We tried one that day, and it was very good. Their favorite Pinots were from Heart O' the Mountain. They especially loved the Pommard Clone and Triple Seven, joking how she would say how bad it was to try to get everyone else to not buy it all up. We've never been there. It's a tough one to get to. I've only seen it open on Passport days and one Groupon. They asked for our emails and said they would invite us the next event they went to. How awesome is that! 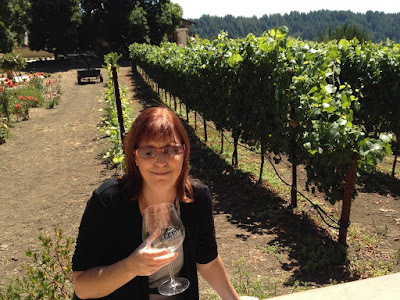 We also talked to an older woman out enjoying wineries by herself. Her boyfriend wasn't into wine, but he was busy, leaving her free to explore. She was looking for a good white wine. Unfortunately, we couldn't help there, though we did point her to some good Roses. One the way out we picked up a Olivia Chard, Lester Pinot, 16 Clone Pinot, and the 2008 Nebbiolo. I joked that we were in the wedding party and should get the family discount, as everyone else was, but they didn't buy it. They also didn't reimburse the $10 tasting fee, a disturbing trend that day. On the trip home we stopped at Summit Store to pick up some lunch. As we waited for our sandwiches to be made we browsed the wines, noticing a $20 Partner's Reserve from Soquel. I couldn't tell the difference between it and the $60 16 Clone I had loved at the tasting. I figured for $20 it was worth the risk that it wasn't the same. While unloading everything at home I bobbled the wine and smashed one on the driveway. I was hoping it was the $20 bottle we had just picked up, but wouldn't you know it, it was the $60 16 Clone. As it turns out they are different.